Vantablack is the darkest pigment ever created, capable of absorbing 99.96% of visible light. If you cover something in Vantablack, it turns into a black hole. No detail is presented, and physical objects become silhouettes. Objects covered in Vantablack are outside the human experience. The mammalian mind cannot comprehend a Vantablack object. Vantablack is cool, but it’s also expensive. It’s also exclusively licensed by [Anish Kapoor]’s studio for artistic use. Understandably, artists have rebelled, and they’re making their own Vantablack-like pigments. Now, the World’s Blackest Black is on Kickstarter. You can get a 150 ml bottle of Black 3.0, something that’s almost black as Vantablack, for £10. Is this a photoshop? Who knows. The pigment for Black 3.0 is called Black Magick, and yes, there was a version 2.0 The problem with the earlier version is that although the pigment was blacker than almost anything else, paint isn’t just pigment. You need binders. The new formulation uses a new acrylic polymer to hold the pigment, and ‘nano-mattifiers’ to make the paint none more matte. 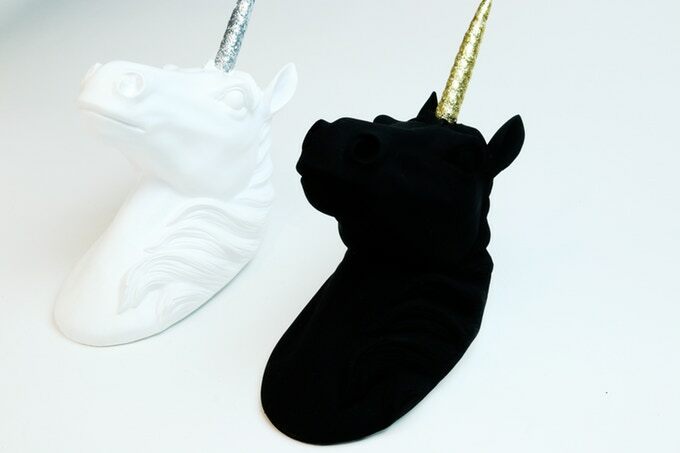 What can you do with the blackest black paint you’ve ever seen? Well, taking pictures of an object covered in the blackest black is a tiny bit dumb. This is something that must be experienced in person. You could paint a car with it, which is something I really want to see. You could follow [Anish Kapoor] around in the shadows. Use it as a calibration target. Who knows what we’ll do with the almost-Vantablack when everyone has it. There was a time when most 3D printers used ABS plastic. It stinks, is probably bad for you, and tends to warp unless printed in a heated enclosure. So most people have gone to something else, mostly PLA. But ABS also dissolves in a readily-available solvent, acetone, and this is useful for smoothing the layer artifacts from a 3D print. [3DSage] has a technique that works for PLA or — he says — probably any filament. You can see what he’s doing in the video below. The video starts out with a recap of things most Hackaday readers will already know. But hang in there because at about 1:20, he reveals his method. It’s the little touches that make a project, and a nice nameplate can really tie a retro build together. Such badges are easy enough to make with a CNC machine, but if you don’t have access to machine tools you can put chemistry to work for you with these acid-etched brass nameplates. The etching method that [Switch and Lever] uses to get down to brass plaques will be intimately familiar to anyone who has etched a PCB before. Ferric chloride works as well on brass as it does on copper, and [Switch and Lever] does a good job explaining the chemistry of the etching process and offers some tips on making up etching solution from powdered ferric chloride. But the meat of the video below is the head-to-head test of three different masking methods. The first method uses a laser printer and glossy paper ripped from a magazine to create a mask. The toner is transferred to the brass using an office laminator, and the paper removed with gentle rubbing before etching. For the other two candidates he uses a laser engraver to remove a mask of plain black spray paint in one case, or to convert special laser marking paint to a mask in the other. We won’t spoil the surprise as to which gave the best results, but we think you’ll be pleased with how easy making classy nameplates can be. You can also use electrolytic methods for a deeper etch, but we think acid etching is a little more approachable for occasional use. There’s no beating the beauty and durability of a high-quality powder-coated part. There’s just something about the look and feel of the finish that goes far beyond mere painting and makes it worth the effort and expense. The typical electrostatic spray powder-coating setup can be expensive, though, and not necessarily suitable for every workpiece. Enter the fluidized-bed powder coating chamber, perfect for limited runs of small parts, and the brainchild of [Andrew Mayhall]. With a business providing furniture kits based on iron pipe, [Andrew] needed a way to finish flanges and fittings, and powder coating provided the best look. The fluidizer he built is a great alternative to spray coating; it blows air through a bed of fine thermoplastic granules, which causes them to act like a fluid. It’s similar to the fluidized-bed hot tub we recently featured, but on a much smaller scale and with different requirements based on the ultrafine particle size and aggregation properties of the powder. [Andrew] had to add mechanical agitation to achieve a homogeneous fluid bed, and after much experimentation he’s now able to dip preheated parts into the bed and achieve one-step powder coating. The video after the break shows some of the operational details. Does electrostatic powder-coating sound like more of your thing? No problem – DIY solutions abound, and a homebrew oven to bake your parts may be as close as the nearest file cabinet. There’s talk of robots and AIs taking on jobs in many different industries. Depending on how much stock you place in that, it might still be fair to say the more creative fields will remain firmly in the hands of humans, right? Well, we may have some bad news for you. Robots are now painting our murals. Estonian inventor [Mihkel Joala] — also working at SprayPainter — successfully tested his prototype by painting a 30m tall mural on a smokestack in Tartu, Estonia. The creative procedure for this mural is a little odd if you are used to the ordinary painting process: [Joala] first takes an image from his computer, and converts it into a coordinate grid — in this case, about 1.5 million ‘pixels’. These pixels are painted on by a little cart loaded with five colours of spray paint that are able to portray the mural’s full palette once combined and viewed at a distance. Positioning is handled by a motor at the base of the mural controlling the vertical motion in conjunction with tracks at the top and bottom which handle the horizontal motion. For this mural, the robot spent the fourteen hours trundling up and down a set of cables, dutifully spraying the appropriate colour at such-and-such a point resulting in the image of a maiden cradling a tree and using thirty cans of spray paint in the process. Nearly as versatile as a deck of playing cards, dominoes are a great addition to any rainy-day repertoire of game sets. [Apollo] from the Youtube channel [carbide3d] has manufactured for themselves a custom set of domino tiles replete with brass pips. Cutting the bar stock to the appropriate size, [Apollo] ran a few test engravings and hole sizes for the brass pips. That done, all they had to do was repeat the engraving and milling process another couple dozen times, as well as all the requisite wet and dry sanding, and buffing. [Apollo] opted to use paint marker to add a little extra style to the tiles, and advises any other makers who want to do the same to set their engraving depth to .01″ so the paint marker won’t be rubbed off when buffing the pieces. When it came to installing the brass balls, [Apollo] undersized the holes by .001″-.002″ for a snug press fit — adding that the hole depth is a little greater than half the ball’s diameter. They used 1/8″ balls for the pips, and 3/16 balls for the center of the tiles which also allows the tiles to be spun for a bit of fidgeting fun during play. Check out the build video after the break. I’ve had a few conversations over the years with people about the future of 3D printing. One of the topics that arises frequently is the slicer, the software that turns a 3D model into paths for a 3D printer. I thought it would be a good idea to visualize what slicing, and by extension 3D printing, could be. I’ve always been a proponent of just building something, but sometimes it’s very easy to keep polishing the solution we have now rather than looking for and imagining the solutions that could be. Many of the things I’ll mention have been worked on or solved in one context or another, but not blended into a cohesive package. I believe that fused deposition modelling (FDM), which is the cheapest and most common technology, can produce parts superior to other production techniques if treated properly. It should be possible to produce parts that handle forces in unique ways such that machining, molding, sintering, and other commonly implemented methods will have a hard time competing with in many applications. Re-envisioning the slicer is no small task, so I’m going to tackle it in three articles. Part One, here, will cover the improvements yet to be had with the 2D and layer height model of slicing. It is the first and most accessible avenue for improvement in slicing technologies. It will require new software to be written but does not dramatically affect the current construction of 3D printers today. It should translate to every printer currently operating without even a firmware change. Part Two will involve making mechanical changes to the printer: multiple materials, temperatures, and nozzle sizes at least. The slicer will need to work with the printer’s new capabilities to take full advantage of them. Finally, in Part Three, we’ll consider adding more axes. A five axis 3D printer with advanced software, differing nozzle geometries, and multi material capabilities will be able to produce parts of significantly reduced weight while incorporating internal features exceeding our current composites in many ways. Five axis paths begin to allow for weaving techniques and advanced “grain” in the layers put down by the 3D printer.